Want to play Blu-ray on iPhone XS Max? Acrok Video Converter Ultimate is the best Blu-ray ripper to help you rip Blu-ray for playback on iPhone XS Max. Now except tablets, we still have a handful of alternatives for playing videos on the go, just say iPhone XS Max which has been announced in September. As a top smartphone, iPhone XS Max continues to bring us high-end tech experience: 6.5 inch screen with 2688‑by-1242‑pixel resolution display, A12 Bionic chip, iOS 12 System, 64/26/512 GB of internal storage, which proves itself an awesome video player. The only demerit of it is, like other smartphones including iPhone XS Max doesn’t come with a Blu-ray driver and Blu-ray player. So you have to rip Blu-ray to iPhone XS Max in advance, then you can play Blu-ray on it on the go. Acrok Video Converter Ultimate is your best choice for ripping Blu-ray to iPhone XS Max, as it has been preset with Apple iPhones profiles already. Besides, this Blu-ray to iPhone XS Max ripper delivers the fastest Blu-ray ripping speed while keeping the highest possible video audio quality. In addition, Acrok program also supports copying Blu-ray to PC, iPhone XR, iPhone XS, Galaxy Tab S4, Surface Go, Google Pixel 3 XL, etc to meet your watch-Blu-ray-on-the-go requirement. 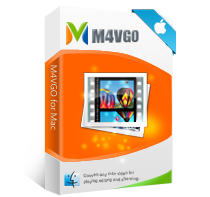 Firstly, you should download Blu-ray to iPhone XS Max Converter and install it on your PC. Step 1: Run Acrok Video Converter Ultimate, load source Blu-ray through “Load Disc” or “Add folder” icon. If you want to play downloaded 4K movies or MKV/AVI/WMV movies on iPhone XS Max, please click “Add files” to load video sources. Step 2: Choose output device profile. 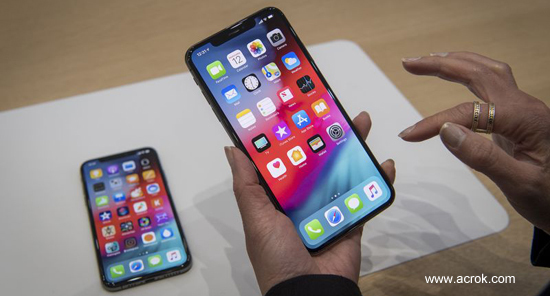 Here you should follow: Output Format – Apple – iPhone X Full Screen/HD Video (*.mp4), then you can rip Blu-ray to iPhone XS Max supported H.264 MP4 format. Here, you can select “H.264 Video (*.mp4)” in “Common Video” category. 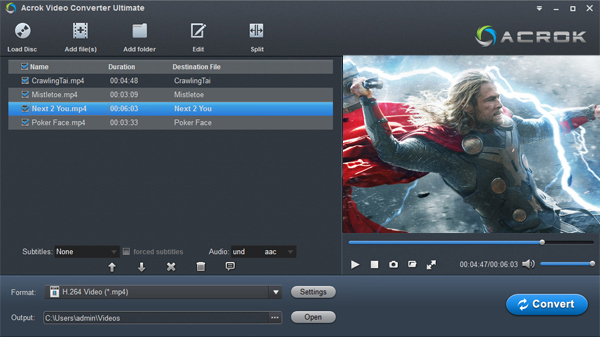 Step 3: Setup a Destination Folder to keep ripped Blu-ray file by clicking “Output”. 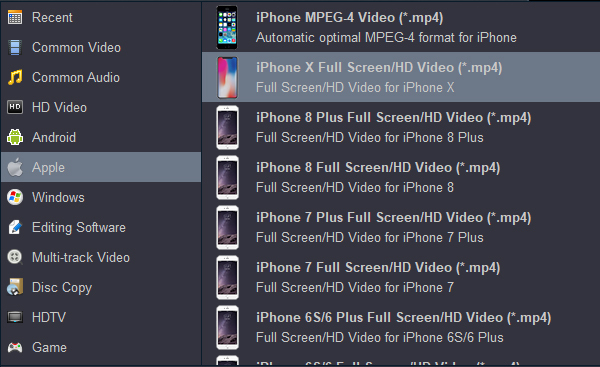 Step 4: Click “Convert” to start ripping Blu-ray to H.264 MP4 for iPhone XS Max. When the conversion is done, you can click “Open” button to lacate the converted movies.